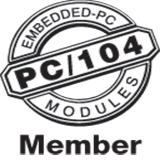 PC/104 is a widely used small form factor board standard that has evolved several variations by leveraging advances in desktop PC technology. To date, these advancements have included faster bus interconnects and new I/O schemes that required additions to the original PC/104 specification. But as technology continues to improve, there must be a clear migration path available to allow the incorporation of new technology into product updates and new generations of products. Change is inevitable, especially in technology. Here is how to handle it if you're using PC/104.